I want you to get to know some of the characters of my novel Beyond the Past, Book 2 in the Caney Creek Series. Today and next Monday I’ll interview the last two characters and you can leave comments if you want. I think this might help you when you read my novel to know how these characters feel as they move through the story. If you leave a comment on this blog that is totally related to the interview I'll give you an extra entry in the next Thursday book drawing. Today I’m talking with Terry Fields in Newton, TN. JO: Hello. Are you Terry Fields? TERRY: Yes ma’am, I am. JO: Do you live in Newton, Tennessee? JO: Have you lived here all your life? TERRY: No, ma’am. I’m from Johnson City, Tennessee. When I finished law school at the University of Tennessee in Knoxville and passed my bar exam, I moved to Newton to work in the law firm of Rawlings & Walton. JO: I suppose it’s not quite as cold here as it is in your hometown. TERRY: That’s right but it’s cold enough here in Newton. JO: Yes it is. Do you know the Callaway family? TERRY: Yes, I do. They’re a fine bunch of folks. JO: How do you know them? TERRY: I helped the oldest son, Jim, in their family with some law work. JO: What did you help him with? TERRY: Ma’am, my work with Jim has to remain confidential. JO: I understand. I heard, though, that you helped him when his baby sister, Emmajean, had some legal problems in Atlanta. TERRY: That’s correct. But that’s all I can comment on that. JO: That’s fine. Do you know Emmajean Callaway? JO: Just how well do you know her? TERRY: I know her quite well. JO: Do you get along with her family? TERRY: Yes. They’re a great bunch of people. All the brothers and sisters get along fine. I grew up an only child and wish I could have some siblings. JO: I guess it’s a little late for your parents to give you that now. TERRY: You’re right. I’m thinking I might find a way to legally get into the Callaway family and then I’d have brothers and sisters. JO: You have a sly look on your face. How could you do that? TERRY: Remember, I’m a lawyer. I’m sure I could come up with something. JO: Would that something have anything to do with Emmajean Callaway? TERRY: It just might. I’ve been thinking a lot about that lately. That young lady needs someone to take care of her. JO: Might that someone be you? Would her big brother, Jim, approve? TERRY: That’s what I’ve been thinking. I’m working on it. And, yes, I believe Jim would approve. JO: You have big plans there. I hope they turn out the way you want them to. TERRY: Thank you. I hope so too. The winner of last Thursday's blog post for a copy of Winds of Freedom by Rebecca Lyles is Barbara T. I'll email you to get your mailing address and we’ll get the book out to you. Thanks all for commenting. Watch for more book giveaways. It will be interesting to see what Terry's plans are. Kay, yes it will. Thanks for coming by and leaving your comment. 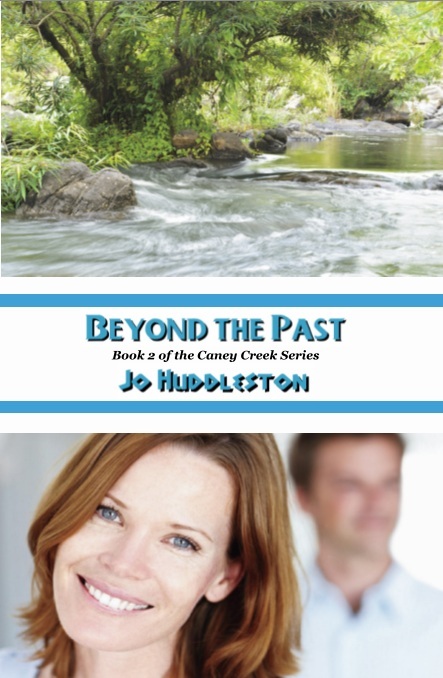 I really enjoyed book one and I'm looking forward to reading book two in the Caney Creek Series. Katie, so glad you enjoyed book one. Book two is scheduled to release in late September.